Managing to change the world. Managing to Change the World: The Nonprofit Manager's Guide to Getting Results; Contents; List of Tools; Chapter 1: The Job of a Manager; Part 1: Managing the Work; Chapter 2: Managing Specific Tasks: Basic Delegation; Chapter 3: Managing Broad Responsibilities: Roles and Goals; Chapter 4: Managing the ""In-Between"": Building a Culture of Excellence; Chapter 5: Managing the Day-to-Day Work of Your Team: Structures to Bring it all together; Part 2: Managing the People; Chapter 6: Hiring Superstars; Chapter 7: Developing People; Chapter 8: Retaining Your Best. Chapter 9: Addressing Performance Problems and Letting People GoPart 3: Managing Yourself; Chapter 10: Exercising Authority without Being a WIMP or a Tyrant; Chapter 11: Managing Your Time and Staying Organized; Chapter 12: Managing Up; Conclusion: Personal Qualities of a Great Manager; Appendix: Getting Started; Acknowledgments; About the Authors; A Note to Readers; About The Management Center. Alison Green and Jerry Hauser, the Management Center. 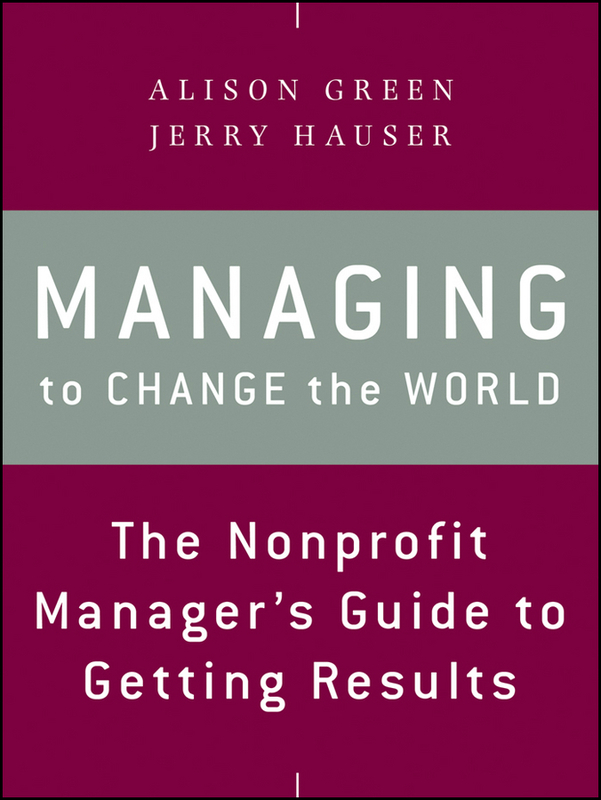 Add tags for "Managing to change the world : the nonprofit manager's guide to getting results". Be the first.